Sreenivas had a hobby of collecting used pen refills from friends. After few years he decided to make something out of collected pen refills. As part of 'Say No to Plastic' program, which he organizes for awareness on global warming in schools and colleges, he setup used pen refill collection boxes. 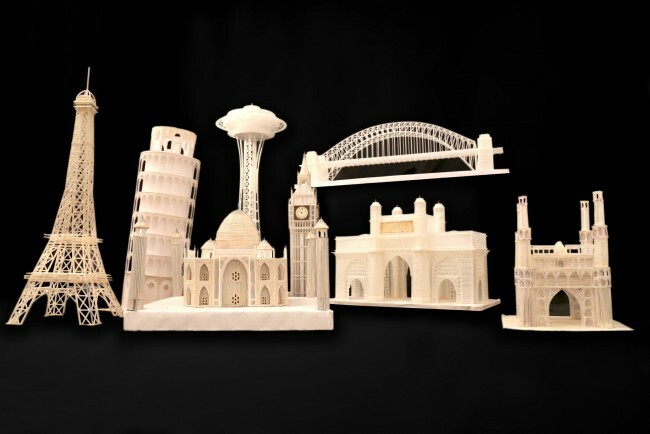 The program turned out to be the source for raw materials to make Miniature structures.